In this post, we will discuss every detail about press brake bending basics, including the bending principle, springback analysis, most commonly used bending method, punch and die selection, bending force calculation etc. After v-shaped bending, compression deformation occurred on the inner surface of the bending part of the workpiece, and tensile deformation occurred on the outer surface. 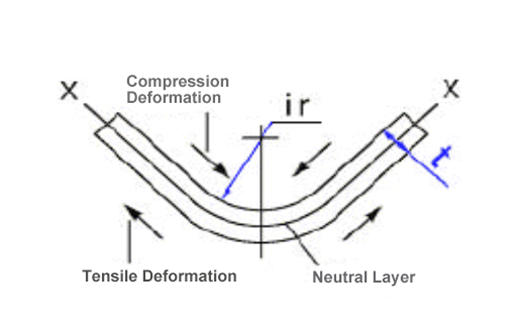 The deformation of these compressions and stretches is greatest on the surface of the material. With the deepening of the plate thickness, the deformation is gradually reduced. It can also be said that there is a middle surface (neutral line) that is neither compressed nor stretched. Here we call it X—X line. How to determine this neutral layer position? — If the IR of the workpiece is 5X more than the thickness of the plate, then it’s position is in the center of the plate thickness. — If the IR of the workpiece is 5X less than the thickness of the plate, the thickness of the bending position turns into t’, the position of the neutral layer is gradually shifted to the interior with the decrease of the IR of the workpiece. The neutral layer has the characteristics of neither stretching nor compression, so the length of the neutral layer is used as the expansion length of the bending piece. The so-called bending is the deformation of tensile stress and compressive stress on the front and back of the same plate. Once the plate is bent to the target angle, the material will bounce back to its original shape once the pressure is removed due to tensile stress and compressive stress. We call this kind of bounce as bending spring back. The amount of bending spring back is generally expressed in terms of angle. Bending angle will be affected by material, plate thickness, pressure, bending radius etc. 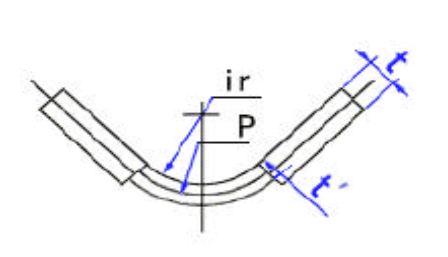 It is very difficult to calculate the bending spring back accurately. The force pressed on the sheet metal during bending is different, the counterforce is also different. Once eliminate the pressing force, the angle will also bounce back in downsizing direction. We call this “restore rebound”. 2) When using the same punch with the same material, the thinner plate has more resilience. 3) When using the same materials, the one with bigger IR has more resilience. 4) The greater the pressing force, the less the resilience. Air Bending 12T—15T 2t~2.5t ＞±45’ Can achieve a wider range of bend angle. Bottom Bending 6T—12T 1t~2t ±15’—30’ The higher bending precision is obtained with the smaller press force. Coining 5T（4T—6T） 0t~0.5t ±10’ It can achieve high bending precision, but the bending force is very large. Air bending means only part of the material is in contact with the toolings for bending. 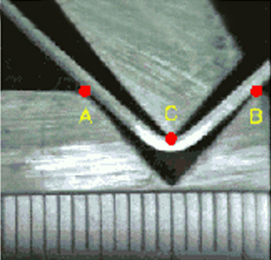 From the above image, we can see that the toolings only touch A, B and C points of the metal during the bending process (the punch tip and the die shoulders). The rest position is not. Because of the above reason, the actual angle of the toolings becomes unimportant. 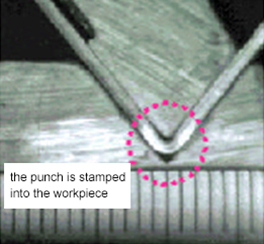 The factor that determines the bending angle is how far the punch descends into the die. The further the punch descends, the acuter the bend angle. Therefore, the fabricator can get a wide range of bending angles with only one set of tooling since the depth of the stroke (not the tooling) determines the bend angle. Besides, there will have a certain amount of spring back in air bending, so you need to bend a slightly more acute angle so as to get the desired bend angle. 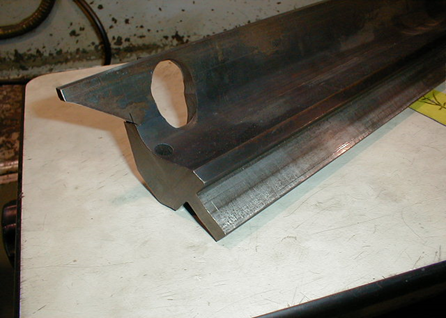 Wide bending angle with one set of tooling. The angle can’t be smaller than the punch tip angle. 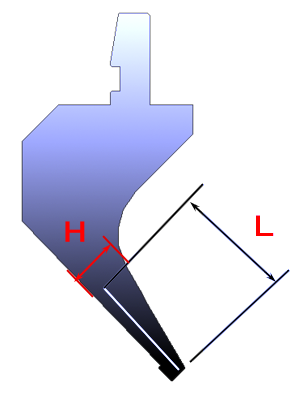 If using a 30° punch, 180°-30° bending angle can be obtained. The bending need less press force. The bending angle is not in high accuracy. The material has more spring back. 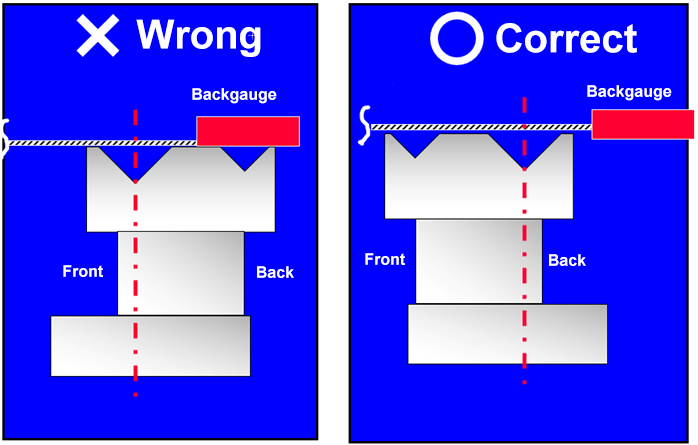 Bottom bending means the punch will descend to the bottom of the die so that the material makes contact with the punch tip and the sidewalls of the V-opening. Bottom bending is a method to obtain good bending precision with less pressure and is also a commonly used bending method. The interior radius of the workpiece is usually represented by IR. 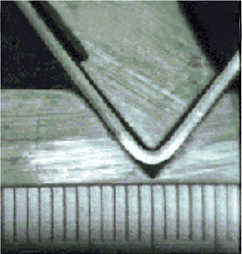 During the bottom bending process, the IR is about 1/6 of the die’s V-opening (IR=v/6). However, for different materials, the IR is also different, like SUS and Al has different IR. The angle after bottom bending will be affected by the spring back, so the bending spring back will be considered when choosing bottom bending. The usual solution to obtain the target angle is by overbending. When adopting bottom bending, the principle of using the same angle for both punches and dies should be abided by. The term “coining” is derived from the stamping method of the coin, which also means get very high accuracy. 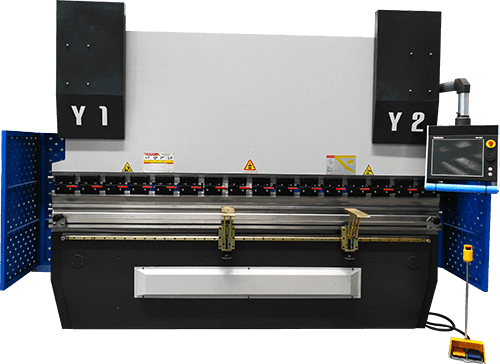 For coining process, enough tonnage of the press brake will be used to conform the sheet metal to the exact angle of the punch and die. 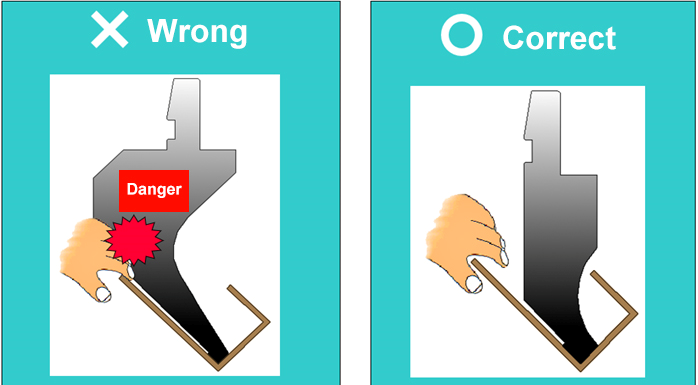 In coining, the sheet metal is not just been bent, it’s actually tinned by the compress between the punch and die. The coining not only featured high accuracy, but also very small IR of the workpiece. The tonnage required by coining is 5-8 times higher than bottom bending. The V-opening width required by coining is smaller than bottom bending, generally is 5X the thickness of sheet metal. This is mainly for the purpose of reducing the IR of the workpiece so as to reduce the stamping into IR position of the workpiece by the punch tip. Reducing the area of V-opening can obtain higher surface pressure. Because the pressure of bending is very large, the thickness of the SPCC should not exceed 2mm, and the thickness of SUS should not exceed 1.5mm. The reason is that 2mm SPCC material need 1100KN pressure for bending which exceed the allowable pressure of tooling 1000KN. 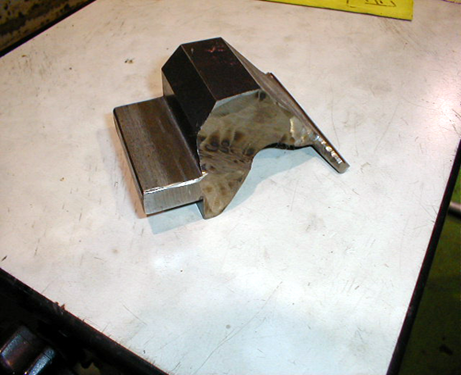 Note: different toolings have different allowable pressure, so not all toolings can be used to bend 2mm SPCC material. The tonnage of press brake need to be increased due to the big bending force, and the abrasion of tooling will also become serious. Therefore, only toolings with high allowable pressure can be used. 1. 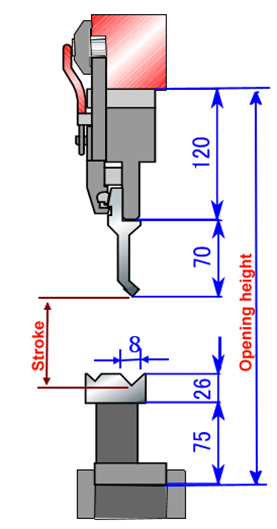 The selection of upper punch is determined by workpiece shape. In other words, there can be no shape interference between the punch and the workpiece when bending the workpiece. To realize the non-interference between the punch and the workpiece, the determination of the bending sequence will play an important role. 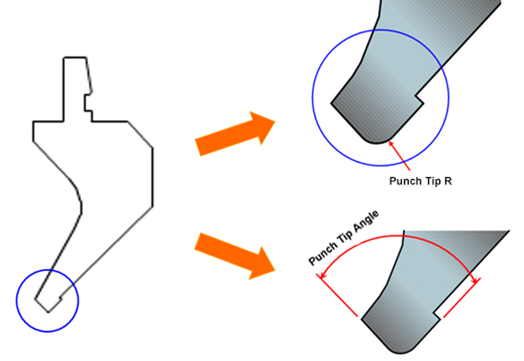 When choosing upper punch shape, the 1:1 figure or cross-section illustration of upper punch can be adopted. 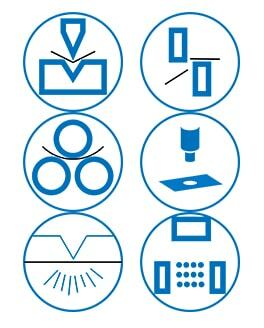 The IR of the workpiece is determined by the V-opening of the lower die (IR=V/6), while the selection of the punch tip R is also determined by many different factors. The IR of the workpiece can be obtained by the formula IR=V/6, the punch tip R can be slightly smaller than IR. For coining, the 90° punch will be used. However, when bending soft steel plate less than 2mm, the 90° punch also can be used if there is small spring back of the workpiece. For the material with a large amount of spring back (like SUS, Al or medium plate), 88° punch→84° punch→82° punch can be selected according to different spring back of materials. Besides, the angle of the die should be the same as the punch tip angle. Standard punch tip angle of punch include: 90°,88°,86°,60°,45°,30° etc. Among them, the 90° bending generally use 88° punch. Note: the smaller the V-opening, the more pressure of the bending will be needed. 3. If the drawings are not specified in ir, please use standard R (R=thickness). If the ir is specified, V-opening must be selected strictly according to the specified ir (ir=V/6). The selected V-opening should be bigger or smaller than the target V-opening width based on different conditions. ＊After determining the V-opening width, it is necessary to perform the bending force calculation. 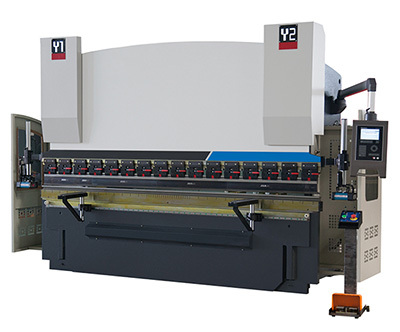 Whether it can meet the tonnage requirements of the press brake for bending fabrication? Whether to meet the tooling’s allowable tonnage? In the bending process, because the inside produces compression, and the outside produces stretching, there is a partial extension of the material, we call it elongation rate. Now the extension rate of material is calculated by the computer. Each manufacturer’s method of calculation is patent technology and is not to be disclosed. However, in the process of actual processing, there will be some deviation in the calculation of the extension rate, so the most accurate extension rate needs to be measured by the actual test. ﹡The above calculation formula of bending force is obtained through experiments. Each tooling has a corresponding maximum allowable tonnage value. If the pressure used during processing exceeds the allowable value of the tooling, the tooling will deform, bend or burst. The allowable tonnage on the tooling is measured in meters. It is calculated according to the length of the bending parts. The max bending force cannot exceed 20 ton. When using the grinding wheel cutting machine to make the horn, the hardness of the punch is decreased due to heat. 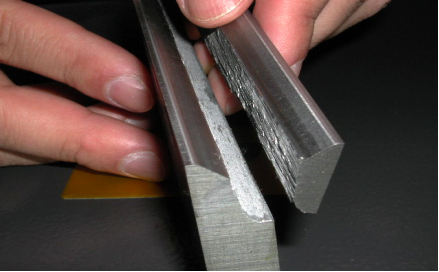 The outer layer is subjected to tensile stress and the inner layer is subjected to compressive stress during bending. 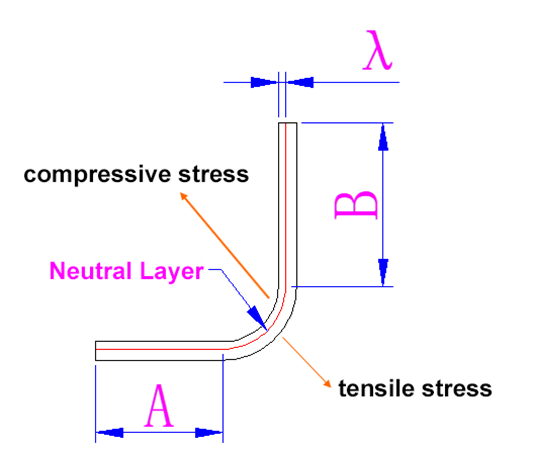 There is a transition layer which subjected to neither tensile stress nor compressive stress is been called neutral layer. The neutral layer stays the same length before and after the bending, so the neutral layer is the benchmark for calculating the length of the bending part. The greater the V-opening width and thickness of the plate, the greater the influence of material coefficient on the change of stroke. The influence of material coefficient change on the change of stroke, generally speaking. AL < SPCC < SUS gradually increasing. Not the same coil < Material differences within the same manufacturer < Different manufacturers < Material handling is different，gradually increasing based on the condition. Press brake is one of the press machines. If making only one type of product, it’s easy to control safety. However, if there are many kinds of products even with a small amount, the safety will not be controlled easily. There are also safety countermeasures in the process of bending and the installation of the die. Security problems that occur frequently in other assignments are also present in the bending process. In the bending process, the fingers are often caught in the punch and die, which are also sandwiched between the punch and the workpiece. For the safety countermeasures of accidents, it is not enough to rely on some light safety devices and fence type safety devices, and the correct operation methods and safety awareness of operators must be established. 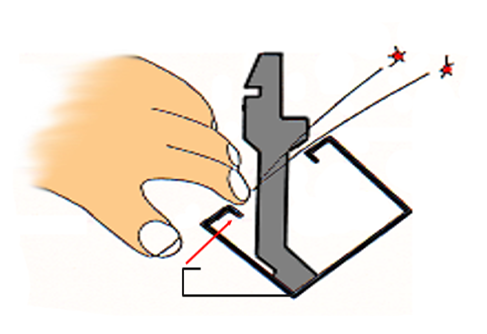 When taking apart the toolings, try to insert the punch into the lower die to prevent the punch from falling and hurting the finger. Yes, it’s practical. And we will keep updating useful resources for our readers.